My Orange Brompton: Chain splitter - don't leave home without one! After Saturday night and the drama if a broken chain I vowed that I would not leave home without a small section of chain, a couple of power links and a chain splitter. The reality has been somewhat different. I have all of these items sitting in a drawer but always regarded them as an unnecessary item to take with me. 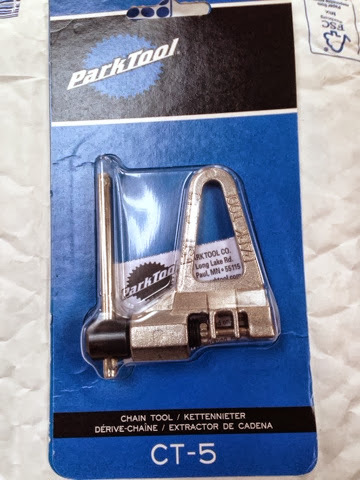 I mean, how often does ones chain break?well...let's no go there! 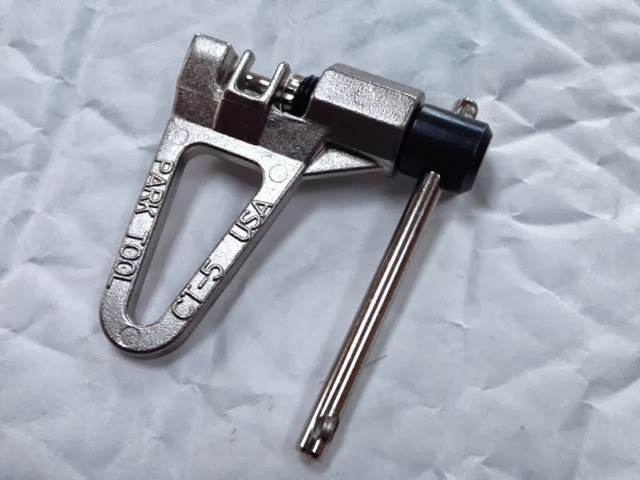 The chain splitter I have had since owning my Brompton is quite large and although brilliant at what it does, is genuinely too heavy and cumbersome to carry. Seeking an alternative I saw the CT-5 by Park Tools which offers great performance at a weight of only 70 grams. Being compact and lightweight I will be more likely to take it out with me, especially when on longer rides when I usually end up in the middle of nowhere. Talking of being in the middle of nowhere I have of late found myself getting hopelessly lost. This is not an uncommon occurrence with me! I feel I might one day have to get a GPS mapping unit. This is out of necessity. I recently ended a ride at Paddington Railway Statiion and only had to get to the Edware Road, not that far away. I won't go into too much detail but after not having a clue where I was I ended up in South Kensington! At least I now know that if my chain snaps or that of one of my friends, we will hopefully be in a position to sort things out! Those tools are a definite thing to carry on you, when you ride. I know you are a weight-watcher (in cycling terms), but what about a multi-tool? 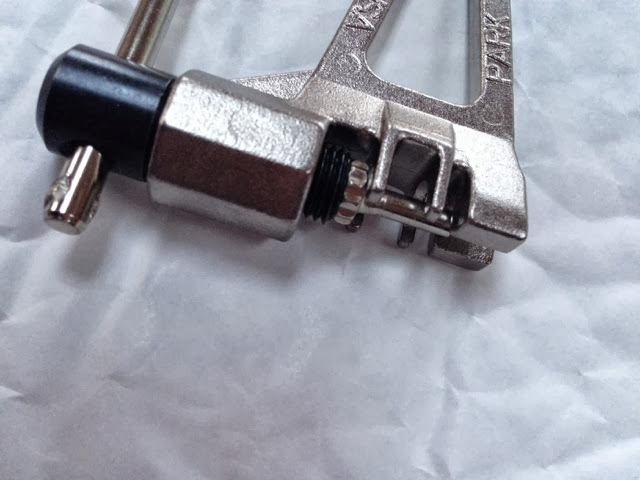 The Alien Tools from Topeak (there are a few versions, I believe), do have the chain-tool in them. But, they may be a tad heavy. I carry the Alien III, but it is substantially heavy than just a chain-tool. Neat bit of kit, i like the bit that sits in a vice. Popped into my local Halfords 'Express' after reading your GT85 post only to be told that you need to buy something else in order to take advantage of this offer. I told them that it did'nt state that on the web page and that it is always available @ 3 quid a tin at Tescos' and the same price at the bike shop about 250 yards away - do they want to sell 4 tins or what?